You are currently browsing the tag archive for the ‘The Divine Comedy’ tag. What a delightful surprise this book was. I first heard of Dorothy Sayers some seven years ago while I was living in Edinburgh. A friend mentioned her to me, as he was reading her translation of Dante’s Inferno. A singular woman, one of the earliest female graduates of Oxford, she was a scholar who wrote murder mysteries. To give you an idea of what to expect, the main character of this book is called Lord Peter Wimsey and whimsical this tale most certainly is. His second named is ‘Death’. He solves murder mysteries as a ‘hobby’. While enjoying a welcome rest on the island of Corsica, he receives the unwelcome news that his brother, the Duke of Denver, has been accused of murder. The victim was a man named Denis Cathcart, whose body was found with the Duke standing over it by Mary Wimsey, who was also engaged to the dead man. Her testimony at the Coroner’s Court lands the Duke in jail awaiting his hearing. By the time Lord Peter has returned with his trusty man-servant Bunter in tow his sister has taken to her bed in hysterics, his brother the Duke is refusing to speak with his defense counsel and the whole thing has become one dreadful black mark on the Wimsey family name. Joining forces with police detective Mr Charles Parker, whose feelings for Mary go beyond professional courtesy, Lord Peter strives to uncover evidence that proves his brother’s innocence. No matter what the cost. Perhaps the Duke’s silence is due to the Court having accused the wrong Wimsey and as a man of honour he is defending his sister’s reputation? The victim Denis Cathcart’s past is a murky one, with secrets that may have exposed the family to blackmail. Lord Peter’s powers of observation also identify the presence of a third man in the conservatory gardens on the night of the murder, whom he comes to refer to as Number 10 due to his shoe size. Of course there is always ample opportunity for a fine cigar and a glass of brandy, even when there is a murder mystery to solve. There is a Wodeshousian tone to the proceedings that lift it up from the more dour detective novels. A wicked sense of humour is present throughout, as well as a rich intelligence and breadth of reference. Wimsey enjoys humming Bach to himself, or quoting Wordsworth randomly while searching for clues. 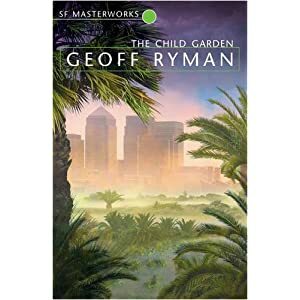 He is a dilettante detective, whose genius was buffeted by his experiences during the Great War and a doomed love affair, leading to him exploiting his flair for investigation while he spends his fortune hosting parties in London. The foppish Columbo acts the fool in order to provoke suspects into revealing something, with his status as an aristocrat allowing him to bounce from Paris to New York chasing down leads the police cannot afford to follow. 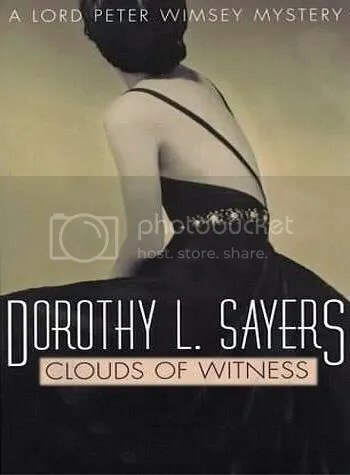 When the Duke’s trial is held in the presence of Parliament, Sayers depicts the noble gentry as being to a man much like Wimsey, treating a murder inquiry as an opportunity for a bit of entertainment, chortling away at the witticisms of the defending counsel. With the world-weary Bunter as an alternative take on Jeeves assisting the amateur detective, Sayers enjoys poking fun at the conventions and morals of the British upper class. ‘That thing’, was a tall erection in pink granite, neatly tooled to represent a craggy rock, and guarded by two petrified infantry-men in trench helmets. A thin stream of water gushed from a bronze knob half way up…. So if you are looking for a ‘spiffing good time’, with bounders, poachers, blackguards and socialists, I would recommend checking out the adventures of one Lord Peter Wimsey, dandy detective.